Really happy with the results! Had no problems putting them on the wall. Good instructions and came with a smoothing tool. I applied them by starting from the top and peeling off about a foot of the backing at a time. 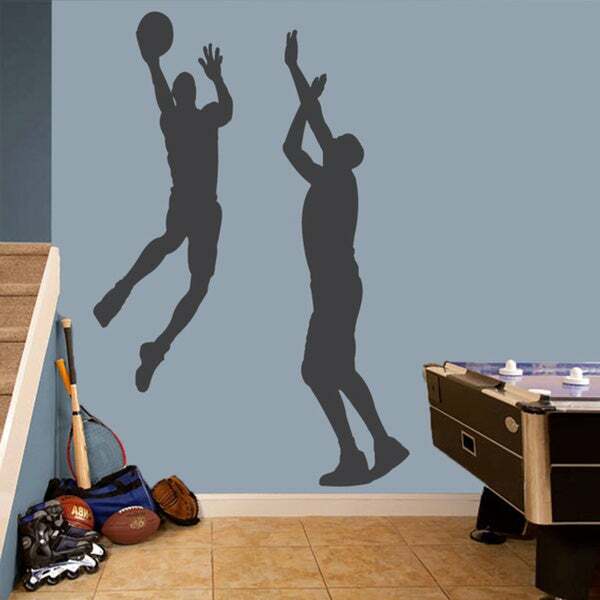 It's all about sports with this Basketball Guys Wall Decal Set. 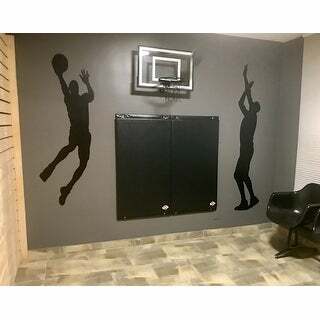 This set of two basketball players is perfect for a kid's room, man cave, or even locker room. Combine this pack with the basketball pack to complete your theme. This wall decal measures tip to tip and can be applied to any smooth surface.